The Supreme Court has formed a joint investigation team to probe the money laundering case involving Rs35 billion funneled through fake bank accounts at three local banks. Additional Director General of the FIA Ehsan Sadiq will head the team. The other five members are Tax Commissioner Imran Lateef, State Bank’s Majid Hussain, ISI’s Brigadier Shahid Pervaiz, NAB’s Noman Aslam and SECP’s Muhammad Afzal. The court has been hearing a suo motu case regarding a 2015 inquiry into suspicious transactions when 29 ‘benami’ accounts were opened at different banks. 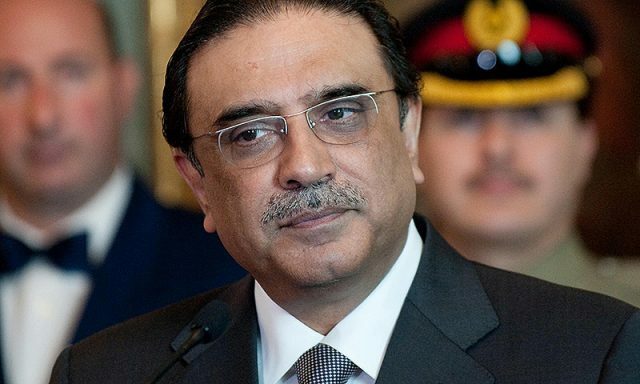 Those involved in the case include PPP co-chairperson Asif Ali Zardari, his sister Faryal Talpur, former Summit Bank president Hussain Lawai, Omni Group of Companies chairperson Khawaja Anwar Majeed and his son, among others. Lawai, Anwar Majeed and his son are already in FIA’s custody. The JIT will submit its report in the apex court within 15 days. The JIT can seek the help of any government institution. All institutions will have to cooperate with the investigators, the court said. The JIT members will be given Rangers security and they have also been told not to talk to the media.